Right now, Gmail tells me I'm using about 2.6GB of the 25GB storage capacity that comes with my Google Apps for Business account. For many of you Gmail users out there, the amount of data archived in your account could be a heck of a lot more. My point is this: The more messages you've got archived in Gmail, the harder it can be to find what you need when you need it. So if you're not already deeply intimate with Gmail's advanced search operators, there's no time like the present to get to know them. An operator is a search term that Google recognizes as a command. It can be a symbol, such as a hyphen, or a word, such as "to" or "from". Gmail recognizes a long list of operators that can help narrow down your search results and weed out distracting stuff that isn't what you're looking for. Here are a few of my favorite Gmail operators. If you have a rough idea of the date the message you're searching for was sent, try before:2011/03/01 or after:2011/03/01. When you're searching for very old messages, this can save you a lot of time and aggravation. If you actually know the name of the file attachment you're looking for, filename:presentation.pptx is practically indistinguishable from magic. You might not know exactly what you're looking for, but sometimes you're pretty clear about what you don't want. The hyphen is for those times when your search results are hopelessly cluttered with messages that are close to what you're looking for, but not close enough. So when your from:steve search comes back totally jam-packed with e-mail about your Facebook Scrabble games, try from:steve -scrabble to clear things up a little. These are, of course, only a few of the Gmail search operators you can use. 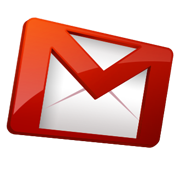 For a complete list, visit the Gmail Using advanced search page.